People are terrified that they’re being exposed to radiation all the time, whether from a distant nuclear accident or the mobile device snuggled against their head. Generally, they are wrong. 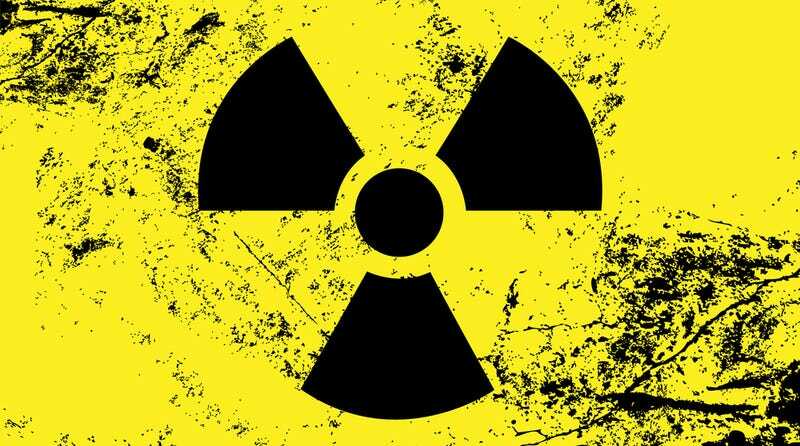 Here are the most radioactive objects in the world around you, and the truth about which ones cause health problems. What Do We Mean by “Radiation”? Radiation is just a fancy word for energy that propagates out from a source in waves. This includes electromagnetic radiation, such as radio waves, microwaves, visible light, and x rays. It also includes certain elements which decay naturally over time, producing high-energy radiation in the form of alpha particles, beta particles, and free neutrons. When we’re trying to determine if a radiation source is harmful to humans, we look at two factors: The strength of the electromagnetic field surrounding the object (i.e., how much radiation), and “energy level” of the radiation waves, which is tied to their frequency (higher frequency waves pack more energy). Stuff that can damage biological tissues or DNA directly is called ionizing radiation. This includes high-energy electromagnetic waves — gamma rays, x-rays, and the higher part of the UV spectrum — and energetic particles produced by radioactive decay. When humans first discovered that some forms of radiation are bad, we needed units to describe just how bad. Enter the sievert (Sv), a unit that incorporates the relative biological potency of different forms of ionizing radiation. Biologically speaking, one sievert is equivalent to a 5.5% chance of eventually developing cancer. Eight sieverts will kill you dead no matter what. With that in mind, let’s have a look at some of the radiation sources we may encounter in our everyday lives. But What About Cell Phones, WiFi Routers, and Bluetooth? You’ve probably noticed that I’ve failed to mention a few notorious devices— namely, WiFi routers, cellphones, and bluetooth headsets. 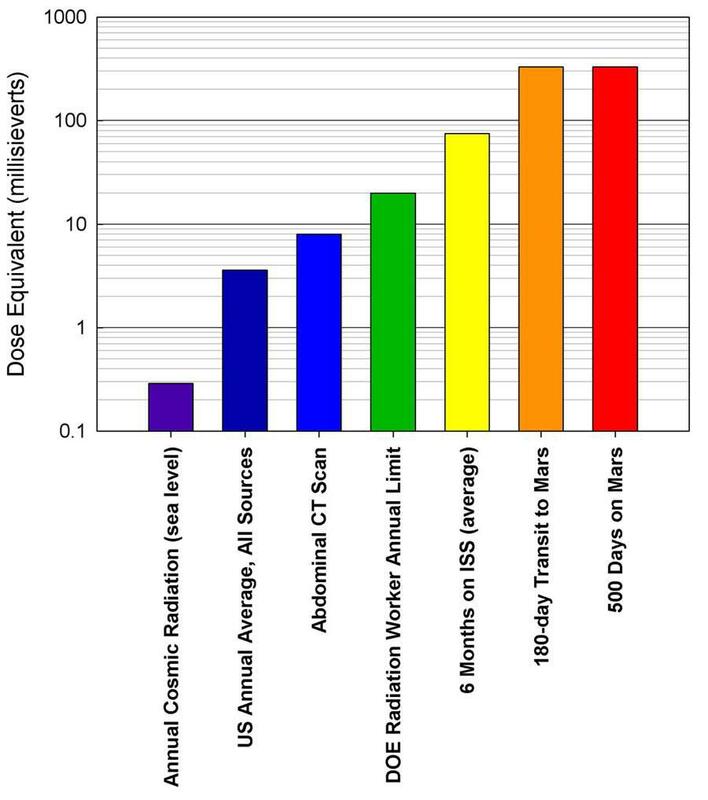 Turns out, these technologies have no biological radiation dose whatsoever associated with them. Instead, they emit lower energy, non-ionizing forms of radiation that don’t directly damage human tissue. Huh. Even so, public concern over the health risks of phones and routers has prompted hundreds of scientific studies. What have the good scientists found? Mostly, a whole lot of nothing. Mobile phones operate at radio frequencies between 450 MHz and 2.7 GHz. The main danger in their frequency range, according to the WHO, is heat. But the maximum power output of our cell phones usually falls in the range of 0.1 to 2 Watts — placing them on par with energy efficient LED bulbs. If you tried really, really hard, you might be able to give yourself a first degree burn with an overheated phone. To date, the only health effect from RF fields identified in scientific reviews has been related to an increase in body temperature (> 1 °C) from exposure at very high field intensity found only in certain industrial facilities, such as RF heaters. The levels of RF exposure from base stations and wireless networks are so low that the temperature increases are insignificant and do not affect human health. Over the past 15 years, studies examining a potential relationship between RF transmitters and cancer have been published. These studies have not provided evidence that RF exposure from the transmitters increases the risk of cancer. Likewise, long-term animal studies have not established an increased risk of cancer from exposure to RF fields, even at levels that are much higher than produced by base stations and wireless networks. While you wait the rest of your life for those study results to roll in, bear in mind that the power (and therefore RF exposure) of telecommunications devices decreases rapidly with distance. So if you’re worried about that extra daily dose of low-energy radiation, you can try only talking on your phone hands-free, or putting your router in the most remote corner of your house possible. Though seriously, most health experts will tell you that these “precautionary” measures are the equivalent of wearing sunscreen in a basement. And of course, if you do relegate your wicked router to a closet, your signal strength may suffer. As a result, you might have to spend more precious seconds refreshing Facebook, all the while absorbing additional nano-sieverts of radiation from your computer screen. Personally, I’m a little more worried about the bananas.